Local pros help you make a dull room in your home the center stage. Home theaters have always been high-tech but the new versions are even more so with wireless remote controls, flat screen televisions from 32 to 100 inches wide, and paper-thin or invisible speakers. 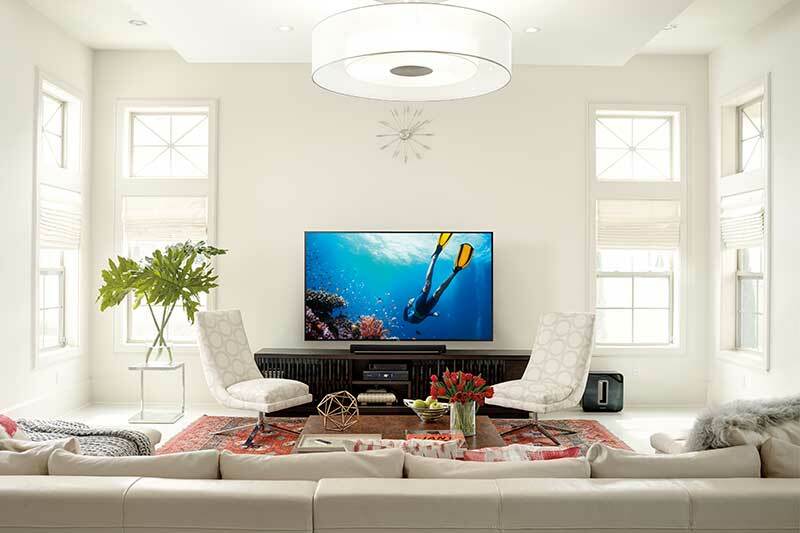 Jesse Deese, design engineer for Emerald Coast Audio-Visual Solutions, says there are three considerations involved in planning a home theater: available space; acoustical design; and budget. Deese favors leather sofas, the use of cedar and fabric-covered walls as sound absorbers. Harrison offers free consultations in a service area from Navarre Beach to St. George Island. Installation services have changed to keep up with the innovative equipment. Bose still makes great speakers but a competitor also worth checking out in the wireless market is the California-based Sonos Inc., which offers speaker systems that play music in every room. I recently attended a party at a large, private home that had soft music playing on the patio — a lovely effect and backdrop to the gathering. Inside, the hosts had a large-screen television with a couch opposite for comfortable viewing. There were no speaker boxes; they had a whole-house design, which is the preferred direction for contemporary sound — unobtrusive inside and out. Before hunting for the right equipment, consider your viewing habits. What TV shows or movies do you like to watch? What music do you like? Do you want to approximate the sonic feel of a large theater’s big sound? Then, consider what you might spend on this high-quality technology. Homeowners can easily spend $2,000 for large, flat-screen TVs and speakers and can top $100,000 for dedicated rooms with specialized equipment, lighting, seating, installation and screens. With rapid advances in audio-visual technology, home theater equipment has become more affordable and is easier to incorporate into a family room. Do-it-yourselfers and local companies can assemble a digital home-theater experience for far less than five years ago. With waterfront homes, bright sunshine is an issue. Specialized televisions can provide deeper blacks that make colors stand out. There are OLED displays and laser televisions as well. Smart TVs have integrated Internet and other functions. An in-home advisor or designer can suggest equipment, lighting, window treatments and screens for bright rooms versus dark rooms. From a decorating standpoint, wall-mounted flat-screen televisions often look best on charcoal gray or light gray walls, with the surrounding walls being white with recessed lights in the ceiling. Alternatives are off-white walls throughout or light beige with white or natural-colored wood trim. Too dull? An ice blue that is almost white and a nearly black midnight are alternatives. Seek a streamlined effect, complemented by a carpet or an area rug to soften. Rather than going all out, a first-timer approach is to buy an HTIB (Home Theater in a Box) with all the components from a single manufacturer. Another way to save is to use televisions that aren’t wall-mounted but rather are placed on a cabinet. This is a practical solution for occupants planning to move. Foremost, try something. Deese and Harrison find that home-theater clients are very happy with the right mix.